Barbados wedding and honeymoon packages! For your most special day choose a Caribbean wedding in the romantic setting of Barbados. 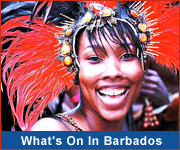 Many Barbados hotels and resorts offer special wedding packages for a tropical wedding in paradise. Venues include beaches, tropical gardens and gazebos overlooking the ocean. Other hotels feature special packages for honeymooners including room upgrades, free champagne & flowers, and island activities! Design Central Photography - Andrew O'dell is an award winning photographer who is renowned for his high quality wedding photography. He is often called upon to capture those romantic moments and intimate memories in story telling fashion, as portrayed in his elegant photo books. 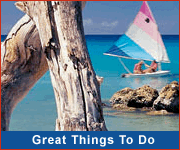 Add your comments about Barbados wedding and honeymoon packages!